On Wednesday, the eyes of wine geeks and those in the wine industry will turn to the the Supreme Court. Wine will be on the docket, and, as you might expect, reds and whites do not map on to a political right and left. A love of wine is non-partisan even though no justice has ever proclaimed “I love wine” during confirmation hearings (only beer gets this kind of admiration!). At stake on Wednesday is whether wine shops can ship across state lines. The biggest wine case the Supreme Court ever decided was Granholm v Heald in 2005. In their decision, the majority ruled that states could not discriminate between out-of-state wineries and in-state wineries—either they had to open up to shipping from all wineries or close the whole thing down. Fortunately for wine enthusiasts, almost all state chose to open up so consumers across the country now at least have the right to order wine from wineries. But it has remained an open legal question whether this freedom for wineries to ship also applies to wine shops. In fact, only a handful of states allow wine shipments from out-of-state wine shops. It is arguably more important for consumers to be able to have wine shops ship across state lines than it is for wineries: while it is good to be able to receive wines from wineries directly, being able to buy from shops offers more price competition not to mention foreign wines, which account for a third of all wine sales in America. Urged on by the wholesalers, who lobbied and contributed heavily to state political campaigns, states began to crack down on interstate retail shipping, and carriers like FedEx and United Parcel Service specifically. 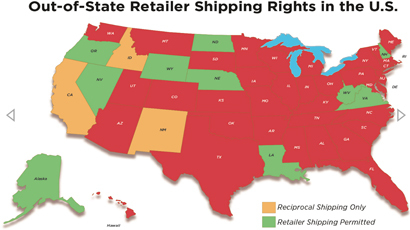 Those companies have told retailers in recent years that they would no longer accept out-of-state shipments of alcoholic beverages unless they were bound for one of 14 states (along with Washington, D.C.) that explicitly permit such interstate commerce. Interstate wine shopping effectively ended for many people. The post Wine spills onto the docket at the Supreme Court appeared first on Dr Vino's wine blog. Saber rattling in trade between the US and China is escalating. The Trump administration announced $50 billion in tariffs on Wednesday and China responded yesterday with a more modest $3 billion. Of course, the two sides could be posturing and may come to an agreement before the tariffs hit the fan. At any rate, wine featured on the list of items that would be hit with a 15% tariff into China. The US exports $79 million of wine to China, which seems like a drop in the Slavonian oak barrel of world trade. (Pretty small beer…) So even though it might sting in California, it is something of a backhanded compliment to US wine that it is seen as symbolically significant. The US wine market is large and thirsty: by far the majority of wine produced in America gets consumed in America. California wine sold at retail fetched $35 billion in 2016. Beyond that, about a third of the wines consumed in the US are imported into what is a $60 billion market. China is also a large and growing market for wine. As small as the US exports are to China, they were up a very healthy 47%. Australia, by contrast, with its small domestic market, has aggressively provided wine to the Chinese market. A new free trade agreement between the two countries means that Australian wine will have no tariff next year. France remains the largest source of foreign wine to China both in terms of value and volume. 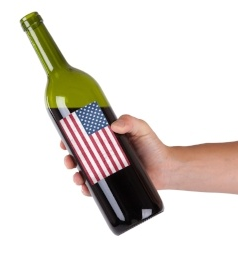 The post China targets US wine in tariff showdown appeared first on Dr Vino's wine blog. 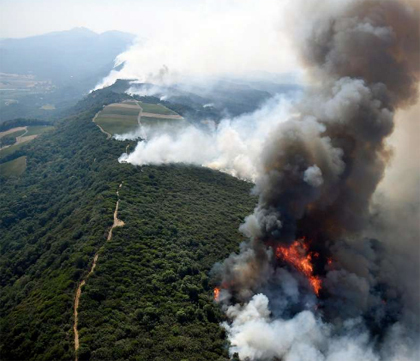 The wine country fires caused a lot of damage, that we know. But as the fires come under control and some residents return to their greatly altered lives after mandatory evacuations, we are starting to get a handle on the extent of what happened. Here is a sad list of 22 wineries damaged by the fires in both Sonoma and Napa. And there’s speculation that undocumented immigrant workers, vital to the system of wine making, may not return since they do not qualify for disaster aid and much of the low-cost housing was damaged. Sadly, there have been reports of price gouging as well as insurance payouts being insufficient to cover some damage. One estimate put the total at $3 – $6 billion. Clearly, the regions need a lot of help. 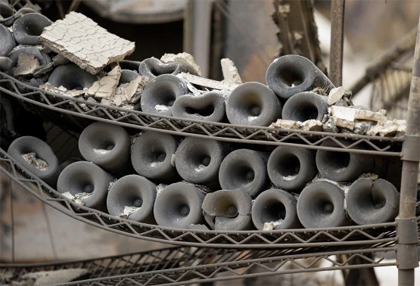 As wine consumers, the most obvious thing we can do is to buy wine from the affected areas. There are a variety of local charities to contribute too as well. And in the past few days, sommeliers and winemakers have organized a charity tastings to raise funds to aid the wildfire recovery effort. The first will be locally in Healdsburg, also in SF and NYC. I expect these will be very well attended. The post Helping the wildfire recovery appeared first on Dr Vino's wine blog. On Sunday night, a fire got out of control somewhere north of the Bay. Seasonally dry conditions had left the area like a tinderbox. So when whipping winds of up to 70 mph hit the initial flames, they spread, well, like wildfire. Tragically, the blaze has now prompted the evacuation of 20,000 people, burned over 1,500 homes, incinerated 73,000 acres and left 11 people dead. Santa Rosa in Sonoma has been hit particularly hard. The flames have also jumped to Napa and Mendocino counties. I hope that the fires come under control soon. For those that are affected, I hope that your lives will return to something like normal as soon as possible. The vintage 2017 may be tough in many parts of the wine world, but this by far the worst. The post Fires savage Napa and Sonoma appeared first on Dr Vino's wine blog. Wine import tax: Make American Wine Great Again? Economic policy has about as much clarity as a tank of Puligny after batonnage right now. There’s some reasonable certainty about various reforms (ahem, tax cuts) but one area that is shrouded in mystery: how imports will be taxed. Trump made trade a big issue in the campaign and has continued in the same vein, doing industrial policy via Twitter since the election. Some policy wonks think that a huge change in the tax on imports may be forthcoming. A House bill from last year sought to impose punitive tariffs on imports to shame big box retailers such as Walmart, Home Depot and Target in their purchases from abroad. A company that spent $80 making something that it sold overseas for $100 would pay no tax on its earnings. A company that imported goods worth $80 from abroad and them sold them domestically for $100 would pay tax on the full $100. Perhaps there would be a carve-out for wine and gourmet items from abroad? Who knows. It’s not clear if this bill was targeting the retailers as importers or retailers, a key distinction in the wine world since the two “tiers” are (mostly) legally separated. Either way, about one out of every three bottles of wine consumed in America comes from overseas and could be subject to a new import tax, if one becomes law. In certain areas, such as New York City, it’s more than one out of every three bottles that is imported. And certain wine lists and shops feature imports as perhaps eight or nine out of every ten bottles on the shelf/list. Would such tariffs be legal under the WTO? Does Trump care? Would there be retaliation against US products in overseas markets? Again, not a lot of clarity here. But if there were a wine import tax or “border adjustments,” would it make American wine better? Probably not. US producers cannot make enough wine to keep up with US consumption. And stylistically, imports can be quite different. So it might be craft beer producers that emerge as the real winners of such a policy. Again, there’s so little that’s been fleshed out beyond 140 character nuggets or campaign epithets. More will come in the coming weeks and months. Until then, drink up, foreign or domestic. The post Wine import tax: Make American Wine Great Again? appeared first on Dr Vino's wine blog. Copain winery has been sold to Jackson Family Wines for an undisclosed sum the wineries announced today. Guthrie started making full-throttle wines and received high scores from point-wielding critics. But he told me that in 2005, he had a Damascene conversion after returning from a trip to Burgundy and the Rhone. He found his wines were aging too rapidly and that he wasn’t proud to serve them to winemakers he had seen on his trip, such as Jean-Louis Chave and Jeremy Seysses. So Guthrie essentially fired all his customers and changed the winery’s style, seeking out pinot noir, chardonnay, and syrah fruit from cooler sites in the Anderson Valley. This new style of wine also won acclaim, but from sommeliers as well as wine writers (often, the non-point-wielding kind). The entry-level wines called “Tous Ensemble” are very good wines for the price (about $25; find these wines) and the single-vineyard wines are also consistently excellent, though they are in smaller production and harder to find, fetching about $75. Interestingly, even though the winery and Pottery Barn-style tasting room are in the Russian River Valley, the fruit almost entirely from the Anderson Valley via long-term contracts. What’s in it for Jackson Family Wines, founded by Jess Jackson and perhaps most renowned for Kendall-Jackson chardonnay? Well, they get a hot winery. The SF Chronicle pegs Copain’s production at 25,000 cases and Jackson Family, which owns 50 wineries around the world, at 5.6 million cases a year. So it’s about prestige more than profits, per se. The SF Chronicle also points out that Jackson Family owns 18,000 acres of vineyards in California with considerable holdings in the Anderson Valley. 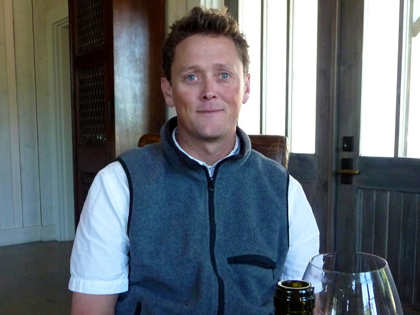 According to a press release, Wells Guthrie will stay on as winemaker at Copain. Jackson Family has been acquisitive of late. Last month they purchased Penner-Ash in Oregon and acquired Siduri last year. Like Copain, neither of these wineries has significant vineyard holdings. The Prisoner wines were also sold last month, for a whopping $285 million to Constellation. These wines are higher volume and also not specifically tied to small vineyard parcels like the Copain wines. Who knows how long Guthrie will stay on. Hopefully, if he ends up making wine that he can’t pour with pride for his friends in France, he will head for the exit. The post The latest in consolidation: Copain sells to Jackson Family appeared first on Dr Vino's wine blog. State dinner wines for the Nordics! Tonight at the White House, President and Michelle Obama will welcome not one Nordic leader–but all five! What will they be drinking out of horned helmets in the viking style? Actually, it will be out of crystal glasses but we have the deets for you on the Nordic state dinner wines. The wines include the Trisaetum Dry Riesling “Estates” 2014 from Oregon to start with Ahi tuna (about $38; find this wine at retail). 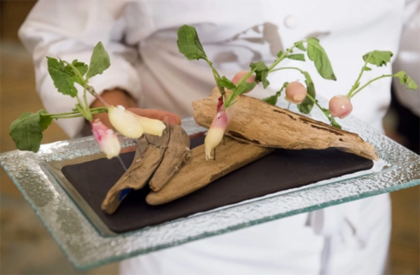 Then guests will have the Grgich Hills Fume Blanc “Estate” 2013 with a vegetable dish (about $25; find this wine at retail). And the braised short ribs will come with a red blend (mostly merlot) from the newish Virginia winery, RdV and their “second wine” the largely sold-out “Rendezvous” 2010 (about $75; find this wine at retail). While this lineup wins points for diversity (No chardonnay! Three states! ), serving a wooded Sauvignon Blanc does make us pine for a some wikileaks from White House usher responsible for wine selections. Ah well, the Nordics are too gracious to say anything–and the prices paid will seem like bargains for anything from their wine monopoly stores. The post State dinner wines for the Nordics! appeared first on Dr Vino's wine blog. Word came out today that Constellation wines is buying The Prisoner wine(s) for a whopping $285 million. The seller was Augustin Huneeus who bought The Prisoner wine for $40 million in 2010. And who said there’s no money in wine? 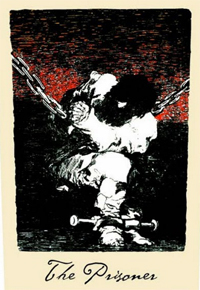 In 2010, Wine Spectator reported that Huneeus Vintners paid $40 million and production volume of The Prisoner was 70,000 cases. At the time, Ausgtin Huneeus, Jr. told Wine Spectator that in selling The Prisoner, Phinney “wanted someone with a larger sales organization and someone with experience with big brands, and I have that.” Saldo is one of five other labels included in the sale. Augustin Huneeus, Sr, now 82, has had a career spanning several continents and bulk wine as well as boutique. He started out at Concha y Toro in his native Chile, then worked for Seagram, ultimately landing in California in 1977. In 1985, became partner/president at Franciscan Estates. He sold that to…wait for it…Constellation Brands in 1999 but retained a stake in one of their brands, Veramonte in Chile (later buying it outright). Huneeus Vintners now has many holdings in North America including Quintessa, which they founded in the Rutherford District of Napa Valley in 1990. They also own Faust and Illumination from Napa Valley and have a majority stake in Flowers Vineyards. Last year, Constellation bought Meiomi for $315 million from Joe Wagner, then 33 years old and whose family is best known for Caymus and Conundrum. Remember in the 90s tech scene, the game was to make start up and then be bought out by Microsoft? In the wine world now, I guess is it the similar, except sell to Constellation? In separate news, Constellation reported earnings that delighted Wall Street with wine sales up 7% to $737.2 million in the most recent quarter. So the plan seems to be working for all parties. The post Who’s taking Constellation’s money now? Augustin Huneeus appeared first on Dr Vino's wine blog. Last night after winning the Michigan primary, Donald Trump gave a press conference more worthy of QVC than C-SPAN: he had on display a variety of his Trump-branded products, including Trump steaks (free ginsu knife set?) 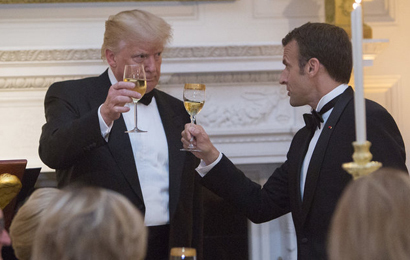 to Trump Water and Trump Wine. At one point, Trump, an avowed teetotaler, launched into a discussion about Trump Wine saying that it was the biggest winery in the East coast! And one of the biggest in America! Somehow, he stopped short of exclaiming that it’s yuuuuge, but, as we all know, when it comes to bank accounts, hands, and polls, size matters with this fellow. 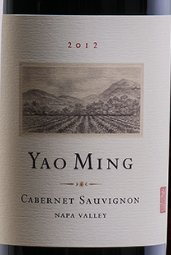 On the winery web site, they state that the estate today has 1,300 acres with 200 acres of vines planted to vinifera. The winery is 50,000 sf with 100,000 gallon tank capacity. 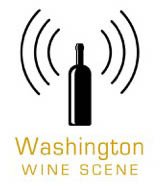 the site size nothing about relative size but modestly states that they are proud to be among the 260 wineries in Virginia today. And hidden under the “Legal” tab, there’s this nugget: “Trump Winery is a registered trade name of Eric Trump Wine Manufacturing LLC, which is not owned, managed or affiliated with Donald J. Trump, The Trump Organization or any of their affiliates.” Oops. To say that it’s the largest winery on the East Coast is a bit like being the tallest in Lilliput: California makes 89% of American wine and some vineyards there, such as Fred Franzias, have tens of thousands of acres of vines planted. And from a tourism perspective who would ever want to vineyard because it is the biggest? If that were the case, Modesto would be the epicenter of wine tourism, rather than places like Napa. Try googling “biggest vineyard in Finger Lakes” and you’ll see how wine people don’t care as much about size since the results are for the best wineries to visit. But for a real estate developer who doesn’t drink wine, I guess you can see how quantity is more important than quality. The post Trump winery: it’s yuuuge! appeared first on Dr Vino's wine blog.